All VA loans are not the same. Yes, the mortgage program is administered by the Department of Veterans Affairs with consistent guidelines and among the most favorable terms, but the actual terms of loans are filtered through local lenders. And every lender has unique business expenses, profit targets and business goals. If you’re an active or retired member of the military, being eligible for a VA loan puts you way ahead in the hunt for the best mortgage. But choosing the right VA mortgage lender is essential. Here are five tips to help you accomplish just that. With most mortgages, that would mean knowing your credit score. With VA loans, it’s more a matter of knowing how much you spend every month — and how much is left over. To qualify for a loan, the VA looks at your overall ability to repay. However, if your total debt-to-income ratio is over 41%, you’ll likely have to provide proof that you can afford to repay the loan. That’s when “residual income” comes into play — taking into account all of your monthly living expenses, as well as your estimated mortgage payment, and comparing that to your monthly income. Lenders take the foundation of VA-backed loan standards and add requirements of their own. That includes important things like minimum credit scores, debt-to-income ratios, and interest rates. Compare VA mortgage rates. Although the VA doesn’t have a minimum credit score threshold, most lenders do. 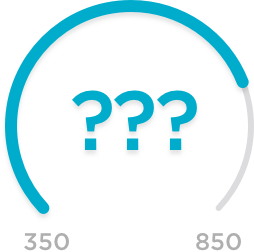 It’s common for lenders to consider VA loans from applicants with credit scores of 620 or better, but that minimum can vary by lender. Debt-to-income ratios can be a moving target from one lender to another, too. Some lenders can be more forgiving on such credit standards; others not so much. The VA funding fee will be the same, regardless of the lender you choose. Lender fees are negotiable. Within three days after applying for a mortgage, you will receive an official Loan Estimate. 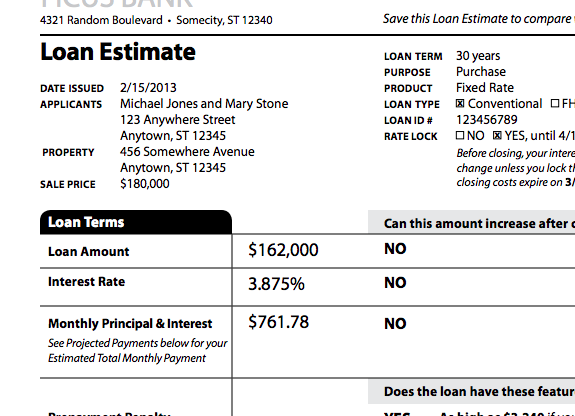 Since you’re shopping more than one lender, you can compare each lender’s Loan Estimate side by side. 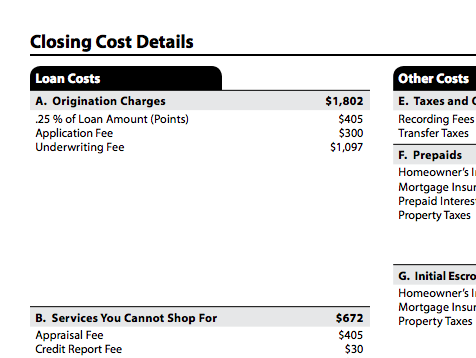 On the second page of the Loan Estimate look for “Closing Cost Details.” Then, under “Loan Costs,” you’ll find Section A, “Origination Charges.” That’s where you’ll find each lender’s total fees. The plain-and-simple interest rate that each lender is offering you is found on the front page of your Loan Estimate, under “Loan Terms.” This is the interest rate that your monthly payment is based on. The annual percentage rate is found on the third and final page of the Loan Estimate, under “Comparisons.” This is your interest rate after fees are considered. Here’s what that really means. Say Lender A offers you a 4.5% interest rate. Lender B offers you a 5% interest rate. You would think Lender A is making the better offer. But when checking the annual percentage rate, Lender A’s loan has a 5.75% APR and Lender B has a 5.25% APR. Lender A is charging you more fees, and most likely discount points to lower your loan’s interest rate. Now it’s a matter of considering how long you expect to live in the home and if it’s worth the additional fees to get the lower interest rate for a lower monthly payment. Use NerdWallet’s Mortgage APR Calculator to help you see the difference between interest rate and annual percentage rate. Some VA lenders specialize in borrowers with weaker credit while others have strong online capabilities. We’ve researched the leading VA mortgage lenders and distilled them to the best in high-priority categories below. Also, see our complete list of the Best VA mortgage lenders by category. These lenders specialize in VA-backed loans, and they have a lot of experience with military and veteran customers. Web-savvy borrowers will find that these lenders have top-notch online tools and most, if not all, of their mortgage processes can be completed via computer or mobile. If you have a lower credit score, a short credit history or a nontraditional credit profile, these lenders might help you qualify for a VA loan.